Without delving too much into typeface classification and to also help you find that perfect font you’ve been looking for much quicker, we’ve grouped the most popular categories for you: Serif Fonts, Sans Serif Fonts, Slab Serif Fonts and Monospaced Fonts. 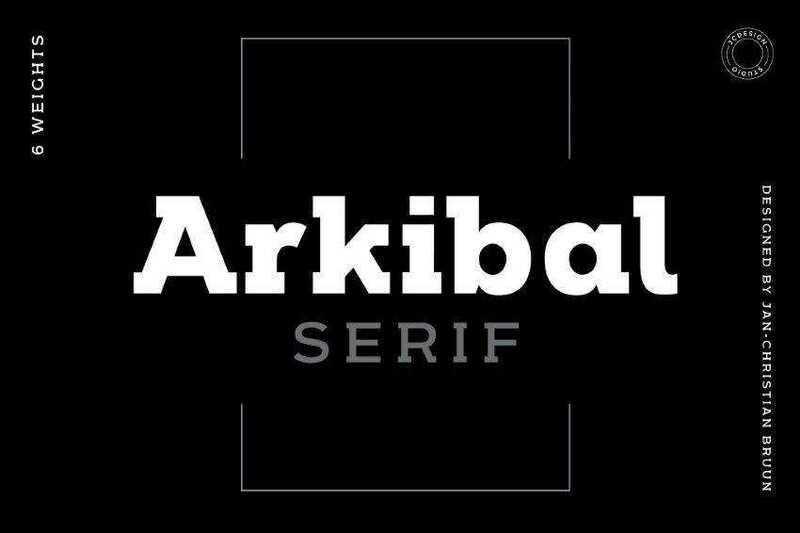 Arkibal Serif is a modern serif typeface designed by Jan-Christian Bruun. PT Serif includes Regular, Italic, Bold and Bold Italic variants. Created by ParaType. Ayres Serif includes ligatures and alternate glyphs. Created by Mariel Gornati. 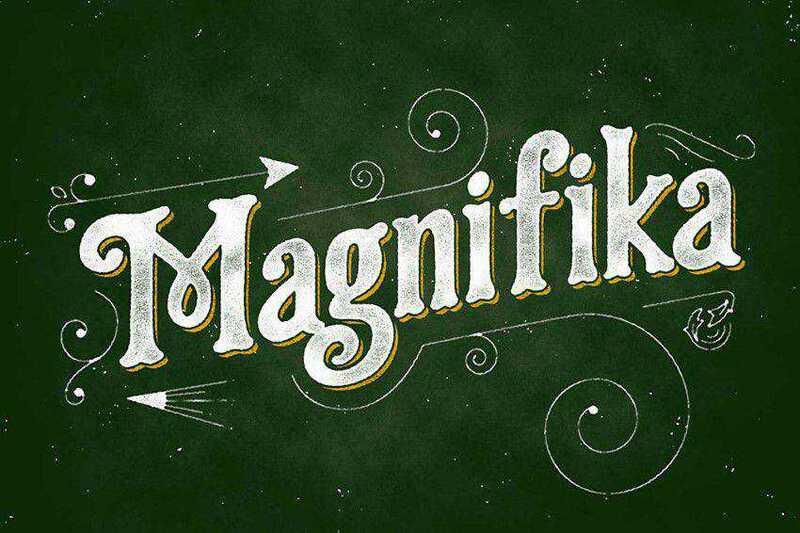 Magnifika is inspired by vintage lettering with lowercases and also a bit of a victorian flair. 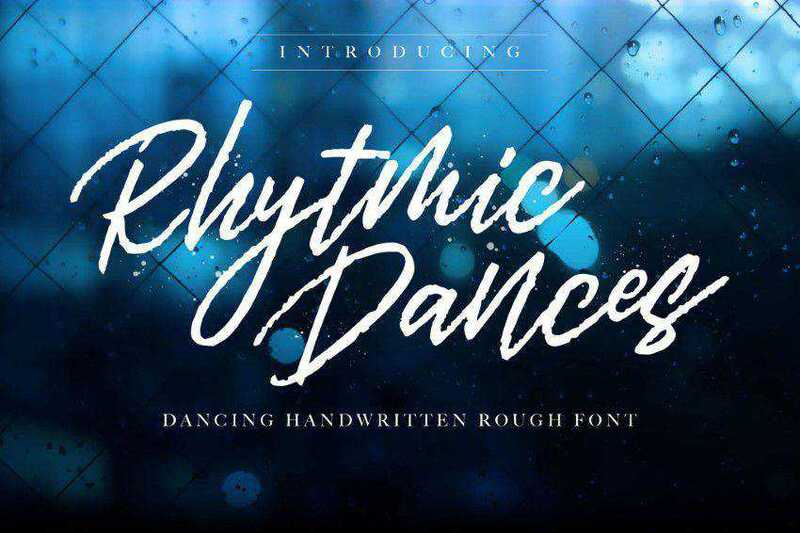 With a salute to daily handwriting, Rhythmic Dances is based on handwriting with an added sense of caligraphic flair. Rough and elegant at the same time. Calendas Plus Regular includes both desktop and webfonts variants. Designed by Altipo Fonts. Download here: Calendas Plus Serif Font Family. Kula has an interesting, soft curvature. Subtle, but powerful. These 4 fonts that are included here are well suited for use bold and direct advertisement such as titles and headers for posters and slideshows. SilverLeaf is a handwritten Serif font that includes both desktop and webfont variants. Created by Nathan Brown. Download here: SilverLeaf Handwritten Serif. YoungSerif Medium includes both webfont and desktop versions. Created by Uplaod. Download here: YoungSerif Medium Serif Typeface. Give your designs an authentic handcrafted feel. 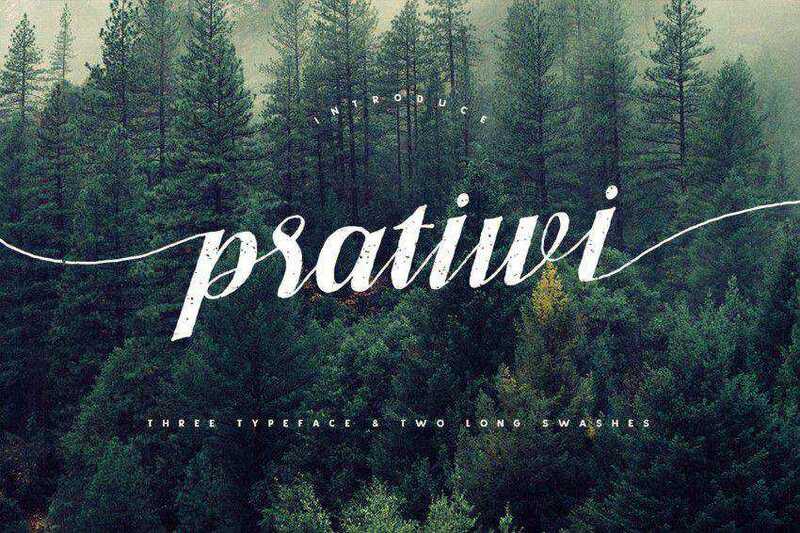 “Pratiwi Typeface” is perfectly suited to stationery, logos and much more. Droid Serif includes Regular, Bold, Bold Italic and Italic variants. Created by Steve Matteson. One of the most well-kerned hand written scripts on the list. Both TTF , WOFF & OTF Formats are included. 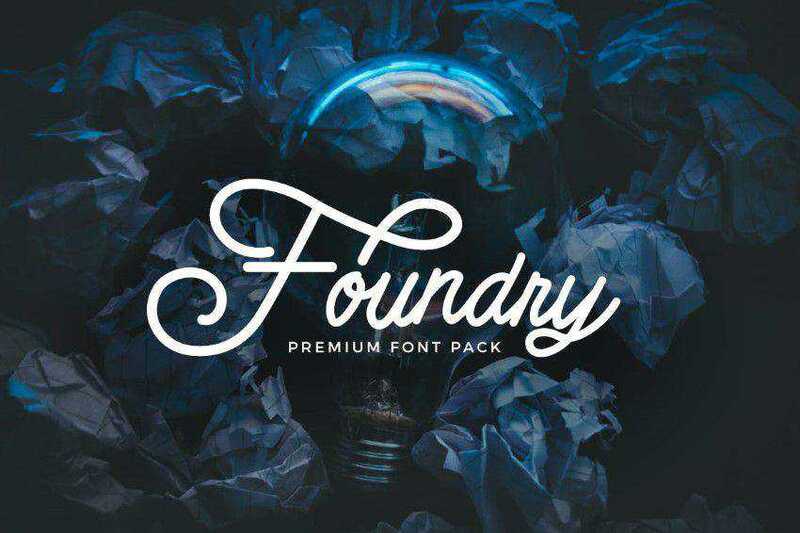 Download here: Foundry – font pack. Jura Serif includes Regular, Italic, Bold and, Bold Italic variants. Created by Ten by Twenty. Download here: Jura Serif Typeface. Merriweather includes Regular, Light, Bold, Itlalic and Black variants. Designed by Eben Sorkin. 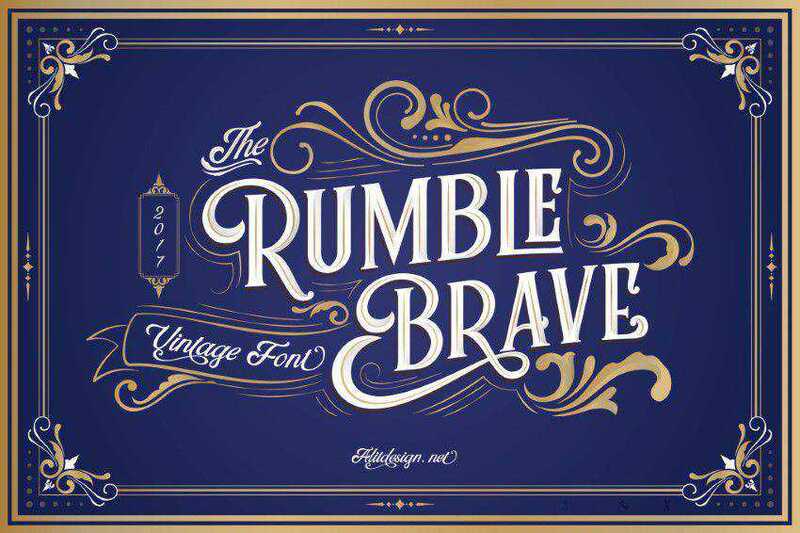 Download here: Rumble Brave Vintage Fonts. Vollkorn Serif includes Regular, Italic, Bold, Bold Italic, Semibold, Semibold Italic, Medium, Medium Italic variants. Designed by Friedrich Althausen. 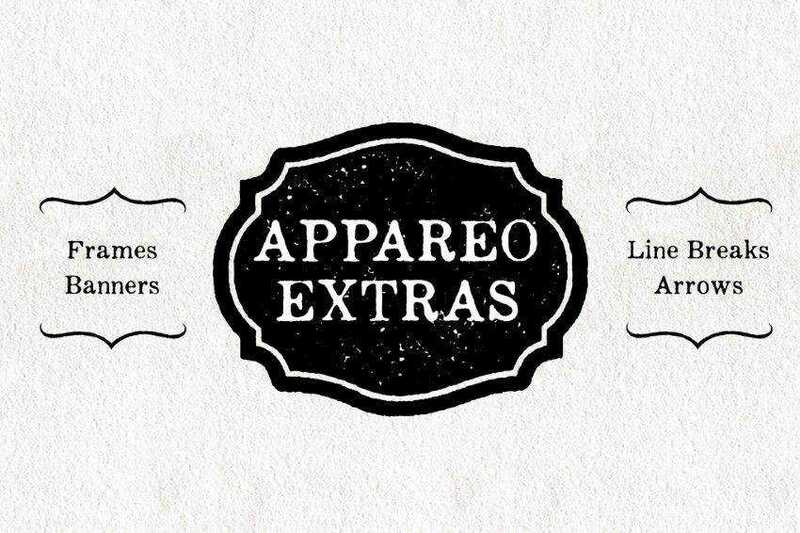 Inspired by vintage books and the pages within, Appareo is an imperfect, worn serif font that comes in three weights. The Crimson Text typeface includes Bold, Bold Italic, Italic, Roman, Semibold and Semibold itlaic variants. Designed by Sebastian Kosch. Download here: The Crimson Text typeface. Calluna includes Light, Regular, Italic, Semibold Italic,Bold Italic and Black. Designed by exljbris Font Foundry. The Mon Cheri typeface makes for the perfect thank you card. It’s made with love and comes out-of-the-box with 2 OTF fonts. 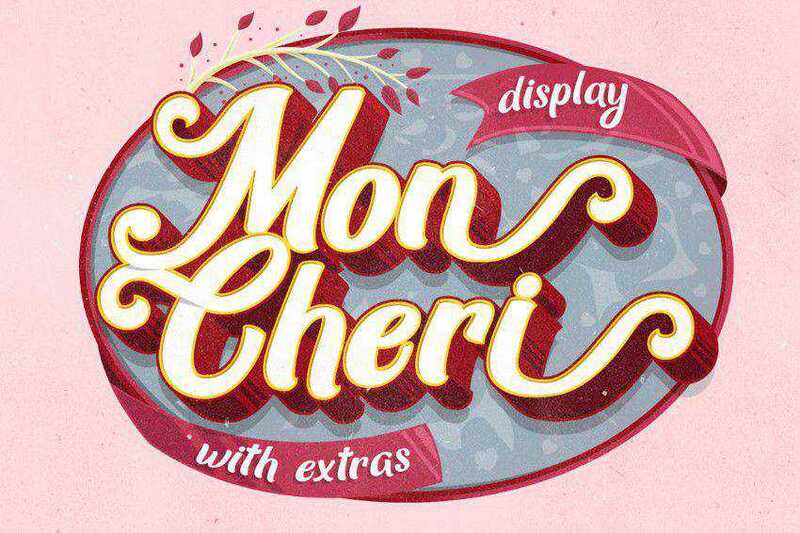 Download here: Mon Cheri Typeface + Extras. 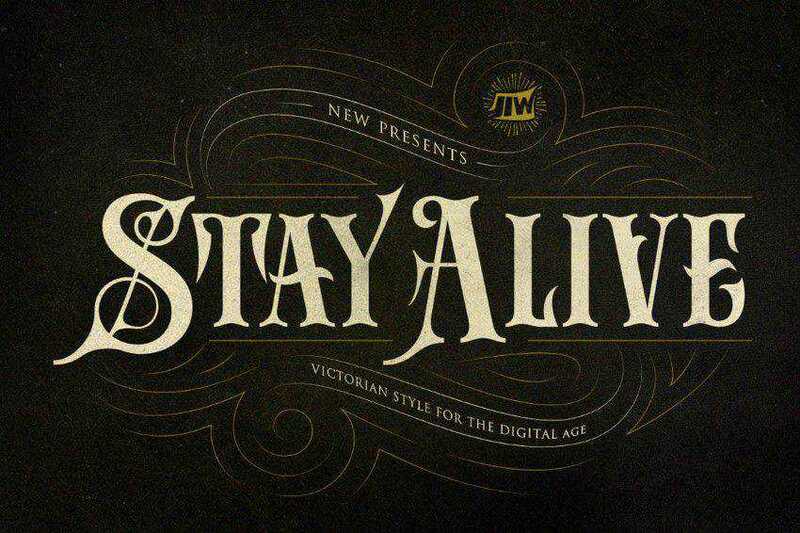 Download here: Stay Alive Sans. Brela Serif only includes a Regular version. Designed by Makarska Estudio. Bree Serif only includes a Regular version of the Serif font. Designed by Veronika Burian and José Scaglione. 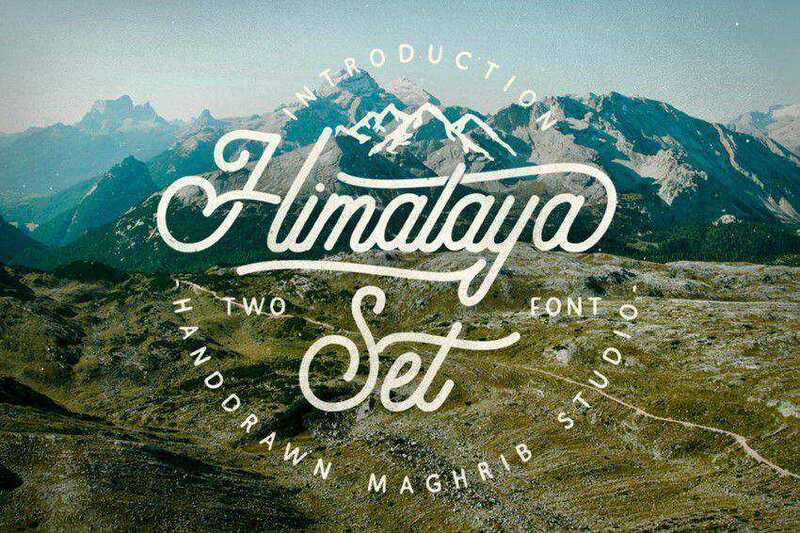 Download here: Himalaya Set Type. Afta Serif includes both Regular and Italic versions. Created by Oriol Esparraguera. Download here: Afta Serif Font. 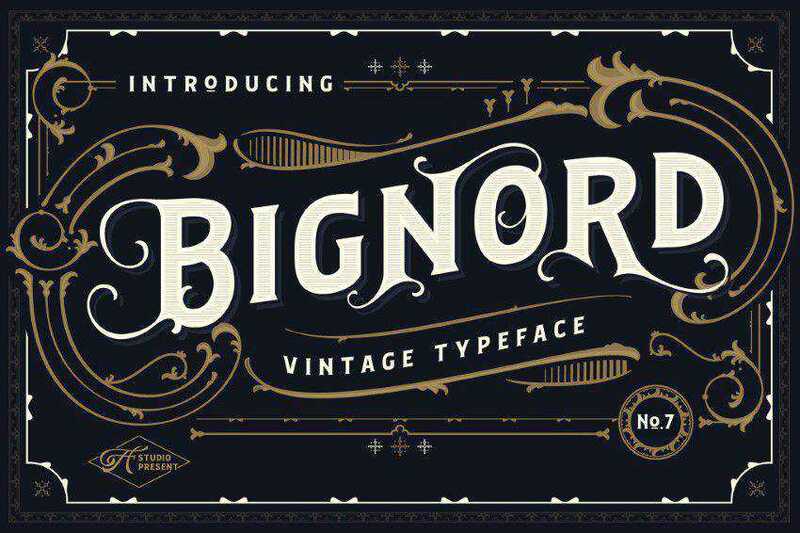 Bignord is a brand new fonts with vintage look and style inspired from vintage packaging and from typographic cover lettering. The unique Badhead Typeface includes both desktop and webfont variants. Created by ianmikraz studio. Burnts Marker is a typeface that’s born for the hood. Gives that rough feel and would be great for any type of hip hop cover. 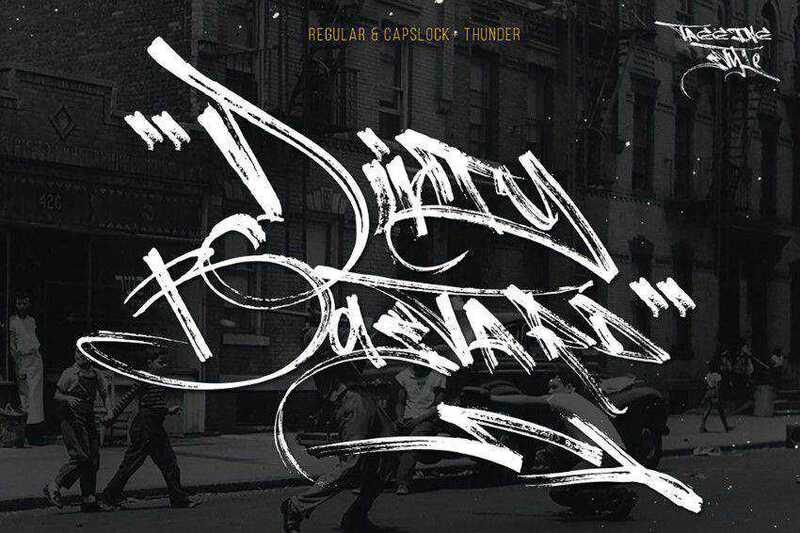 Step down to the streets with this signature/font blend that’s really quite extraordinary. Sant’Elia includes Rough Line (3 weights), Script Bold & Rough Alt Bold variants. Created by Yellow Design Studio . Download here: Sant’Elia Font Family. 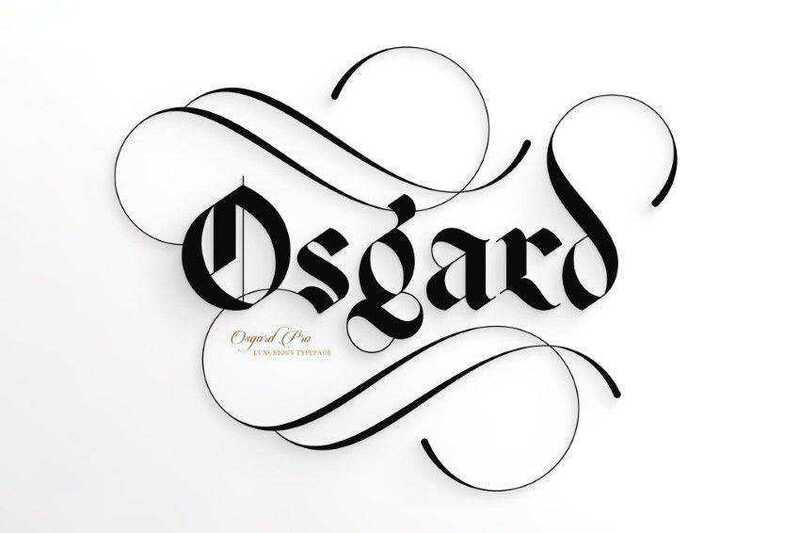 Osgard Pro is a powerful, luxurious Typeface, adopting the fluid curvaceous elements of Romanesque typography and combining them with the Gothic style of Blackletter. Exodux includes Regular, Sharpen and Striped variants. Designed by Andrew Herndon. Download here: Exodus Free Typeface. 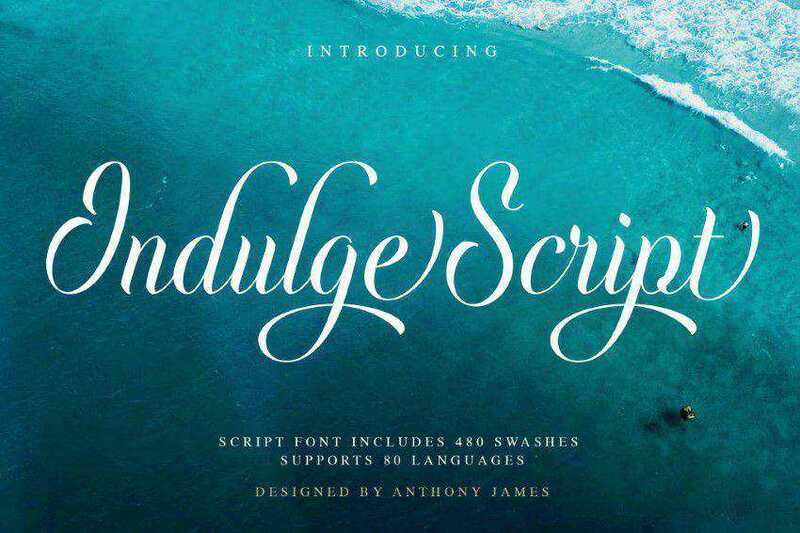 Indulge Script is a typeface adapted for both modern and traditional uses, housing 882 glyphs and 480 swashes. Butler includes both a regular and stencil style typeface, and comes in Black, Bold, Extra Bold, Light, Medium, Regular and Ultra Light variants. Designed by Fabian De Smet. 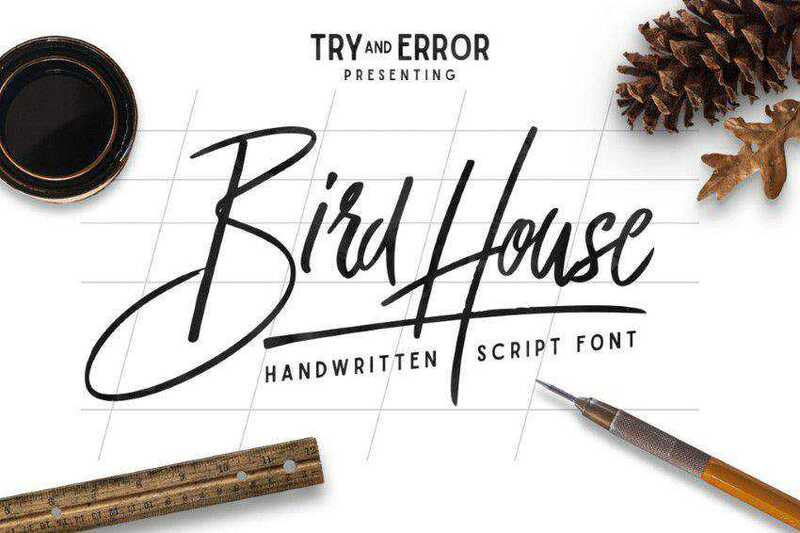 Bird House Script is a handwritten font designed using markers. This font would be perfect for branding a local coffeehouse, faux-signatures, and more. 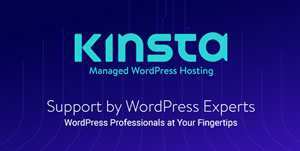 It includes uppercase standard character, punctuation and multiple language support. Download here: Bird House Script. Tryst only includes a Regular version of the Serif font. Designed by Philatype. Download here: Tryst Regular Typeface. Brayden Family is a family font that include 3 weights of script fonts + 1 a complimentary sans serif font to create that beautiful combination. 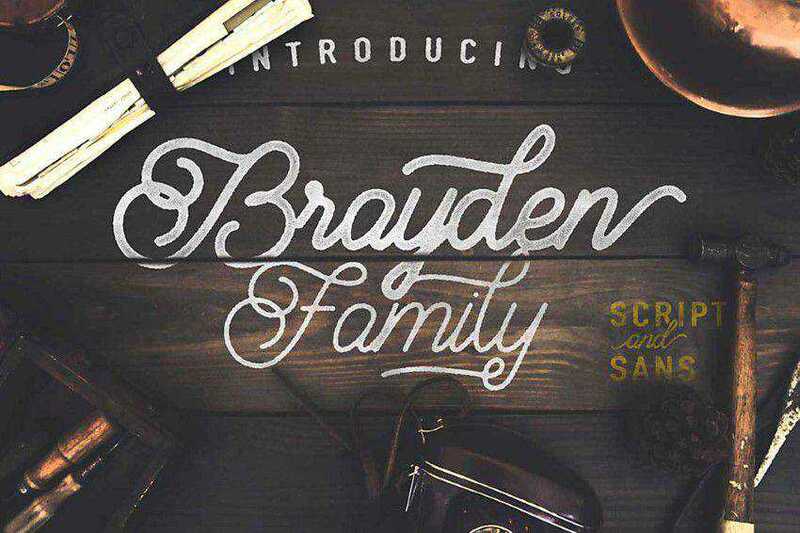 Download here: Brayden Script Family. Born Serif only includes a Regular version of the Serif font. Created by Carlos de Toro. Download here: Born Serif Typeface. Fénix Serif only includes a Regular version of the Serif font. Created by Fernando Díaz. Download here: Fénix Regular Typeface. Knubi only includes a Regular version of the Serif font. Created by Matt Vergotis. Download here: Knubi Regular Serif. Abraham Lincoln Serif has been designed by Frances MacLeod. Download here: Abraham Lincoln Serif. The difference between a Serif and Sans Serif font, is that Sans Serifs do not have those small decorative lines that characterize Serifs. The Sans Serifs, with their modern, cleaner and simpler appearance, are typically more accessible on the web as they’re much easier to read on screens, regardless of their font or device size. Understandably, Sans Serifs are the most commonly used Google Fonts. Bebas Neue Sans Serif includes Thin, Light, Book and Regular variants. Designed by Dharma Type Foundry. Download here: Bebas Neue Sans Serif. IBM’s new typeface is available for download, along with some useful advice. Mozilla’s Fira Sans Serif includes Regular, Medium, Light, Bold, Bold Italic, Book, Book Italic, Extra Bold, Extra Bold Italic, Extra Light and Extra Light Italic variants. Created by Mozilla. Download here: Fira Sans Serif. The Metropolis Typeface is an open source modern, geometric typeface. Download here: The Metropolis Typeface. Norwester Sans Serif includes only a Regular version. Created by Jamie Wilson. Download here: Norwester Sans Serif. Homizio Nova Sans Serif includes Regular, Italic, Light and Light Italic variants. Designed by Álvaro Thomáz. Alegreya Sans Serif includes Regular, Italic, Bold and Italic variants. Designed by Huerta Tipografica. Download here: Alegreya Sans HT. Peace Sans only includes a Regular version. Created by Sergey Ryadovoy and Ivan Gladkikh. The free version of Sketchetik Sans Serif only includes a Light variant. Created by Ossi Gustafsson. Download here: Sketchetik Fill Light. Exo Sans Serif includes Regular, Italic, Bold, Bold Italic, Light, Light Italic, Black, Black Italic, Extra Bold, Extra Bold Italic, Extra Light, Extra Light Italic, Medium Medium Italic, Semi Bold, Semi Bold Italic, Thin and Thin Italic. Designed by Natanael Gama. Mohave Sans Serif includes Regular, Italic, Bold, Bold Italic, Semi Bold and Semi Bold Italic. Designed by Gumpita Rahayu. Download here: Mohave Sans Serif. The minimal Ikaros Sans Serif includes Regular and Light variants. Designed by Matt Ellis. Download here: Ikaros Sans Serif. Neris Sans Serif includes Thin, Light, Semi Bold, Bold and Black variants. Designed by Eimantas Paškonis. Verb Condensed Regular Sans Serif includes Regular and Italic variants. Designed by Yellow Design Studio. Download here: Verb Condensed Regular. Dense Sans Serif includes Regular and Bold variants. Created by Charles Daoud. Download here: Dense Sans Serif. Canter Sans Serif includes Bold 3D, Bold Shadow, Bold Stripes, Bold, Light and Outline variants. Created by Christopher J. Lee. Download here: Canter Sans Serif. Inspired by modern swiss typefaces, Sabado Sans Serif includes both Regular and Italicc variants. Created by Frank Hemmekan. Download here: Sabado Sans Serif. Baron Sans Serif includes Regular, Bold and Black variants. Designed by Frank Hemmekan. Download here: Baron Sans Serif. Rhyder Sans Serif only includes a Regular version. Designed by Adrian Candela. Download here: Rhyder Sans Serif. Langdon Sans Serif only includes a Regular version. Designed by Steven Bonner. Download here: Langdon Sans Serif. Kelson includes Regular, Light and Bold variants. Designed by Bruno Mello. Download here: Kelson Sans Serif. Designed in an art-deco style, Myra Sans Serif includes Regular, Light and Bold variants. Designed by Sergiy Tkachenko. Download here: Myra Sans Serif. Aileron only includes a Regular version. Designed by Shrenik Ganatra. Download here: Adam Pro Sans Serif. Aileron includes 16 weights. Designed by Sora Sagano. Download here: Aileron Sans Serif. Building only includes a Regular version. Designed by Leonardo Gubbioni. Download here: Building Sans Serif. Pier Sans includes Regular, Italic, Bold and Bold Italic versions. Designed by Mathieu Desjardins. Both fonts only includes a Regular version. Designed by Ion Lucin. Download here: Big John & Slim Joe Sans Serif. Moon Rounded Sans includes Light and Bold versions. Designed by Jack Harvatt. Download here: Moon Rounded Sans. Linotte Rounded Sans Serif includes LIght, Bold, Semi Bold, Heavy and Regular versions. Designed by Joël Carrouché. Download here: Linotte Rounded Sans Serif. Nexa Sans Serif includes Light and Bold versions. Created by FontFabric. Download here: Nexa Sans Serif. Source Sans Pro includes Regular, Italic, Bold, Semi Bold, Light, Black and Roman variants. Created by Adobe. Download here: Source Sans Pro. FV Almelo Sans Serif only includes a regular version. Created by Floris Voorveld. Download here: FV Almelo Sans Serif. Maven Sans Serif includes Light 100, Light 200 and Light 300 variants. Designed by Joe Prince. The free version of Intro Sans Serif includes Regular and Inline variants. Designed by Miroslav Bekyarov. Download here: Intro Sans Serif. Ostrich Sans includes Regular, Italic, Black, Bold, Heavy, Light and Medium variants. Designed by The League of Moveable Type. Inspired by Edward Johnston’s and Eric Gill’s typefaces, Cabin Sans Serif Regular, Medium, Semi Bold, Bold and Italic variants. Created by Pablo Impallari. Download here: Cabin Sans Serif. HK Grotesk Sans Serif includes Regular, Light, Bold and Medium variants. Designed by Hanken Design Co.
Download here: HK Grotesk Sans Serif. Qanelas Soft Sans Serif has been designed by Radomir Tinkov. Moderne Sans includes a Regular and Light variants. Created by Marius Kempken. Blogger Sans includes Regular, Italic, Bold and Bold Italic. Created by Sergiy Tkachenko. Katahdin Round Sans Serif only includes a Regular version. Designed by Tyler Finck. Rubik Sans Serif includes Regular, Light, Medium, Bold, Ultra Bold and Italic variants. Designed by Sebastian Fischer and Philipp Hubert. Download here: Rubik Sans Serif. Cast Iron only includes a Regular version. Designed by Jeremy Vessey. Download here: Cast Iron Sans Serif. Charlevoix Pro Sans Serif includes Regular, Thin, Light, Mediyum, Semi Bold, Bold, Extra Bold and Black variations. Designed by Mathieu Desjardins. Download here: Charlevoix Sans Serif. Relancer Display only includes a Regular version. Created by Ryan Molag. Download here: Relancer Display Typeface. Inspired by Highway Gothic, Overpass Sans Serif is a Webfont that includes Light, Extra Light, Regular, Bold, Bold Italic and Italic variants. Created by Delve Fonts. Download here: Overpass Sans Serif. Coves Sans Serif includes Light and Bold variants. Designed by Jack Harvatt. Download here: Coves Sans Serif. Fibon Sans only includes a Regular version. Designed by Valerio Dell’Edera. Raleway Sans Serif only includes a Thin version. Designed by The League of Moveable Type. Download here: Raleway Sans Serif. There are many different sub-categories to serifs, Slab just happens to be the most popular variant. Evolving from the Modern style and at times called square serifs or Egyptian, they’re defined by having a bolder serif and are primarily designed to be used as print headlines and are typically paired with a thinner and lighter font. But there are many Slab Serifs that will work perfectly well – as you will see by the free font selection below – in a smaller font size and could be easily used as body text. Only includes Regular. Created by Ryan Welch. Download here: Corduroy Slab Regular. 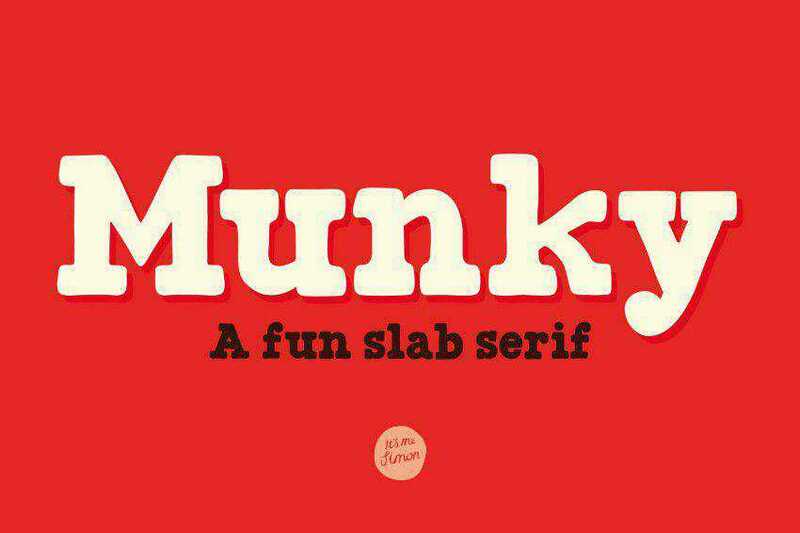 Munky is a simple beast with a slight retro twist. Some of the serifs are straight while others are more curvacious. 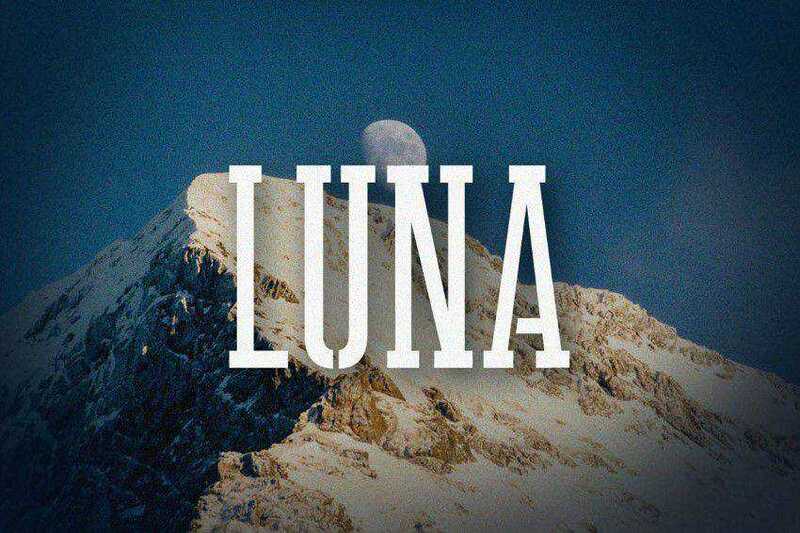 Luna is a slab serif typeface that’s suitable for any promotion and graphic design purpose. Also available in stylish version with a little bit of a “stencil” look to it. Bw Glenn Slab is a confident and robust font family with a sturdy feel offering no concessions for ambiguity. 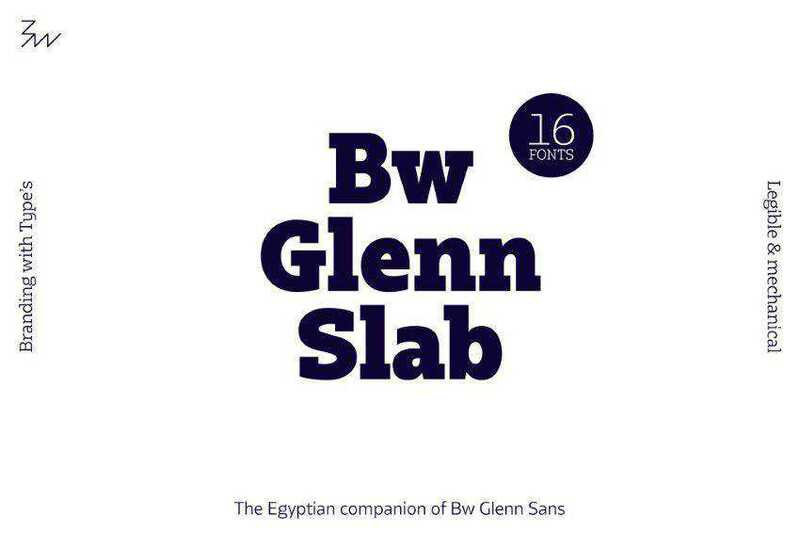 Download here: Bw Glenn Slab font family. Promesh is free slab font that has been designed with a distressed mesh appearnace, similiar to those used on school basketball jerseys from years gone by. Includes Regular and Stitch variants. Designed by by Paul Reis. Download here: Promesh Athletic Font. 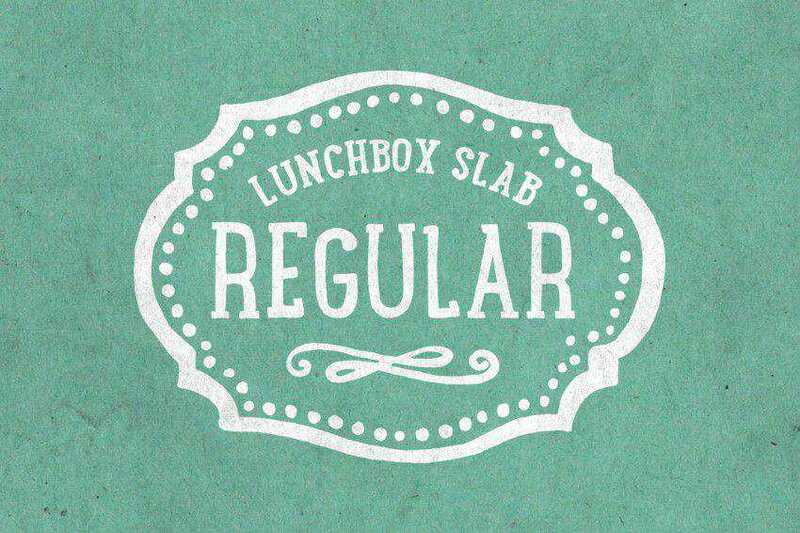 Download here: Lunchbox Slab Regular. Carton is a slab-serif that has been inspired by letterpress printing. Designed by Nick McCosker. Download here: Carton Slab Serif. 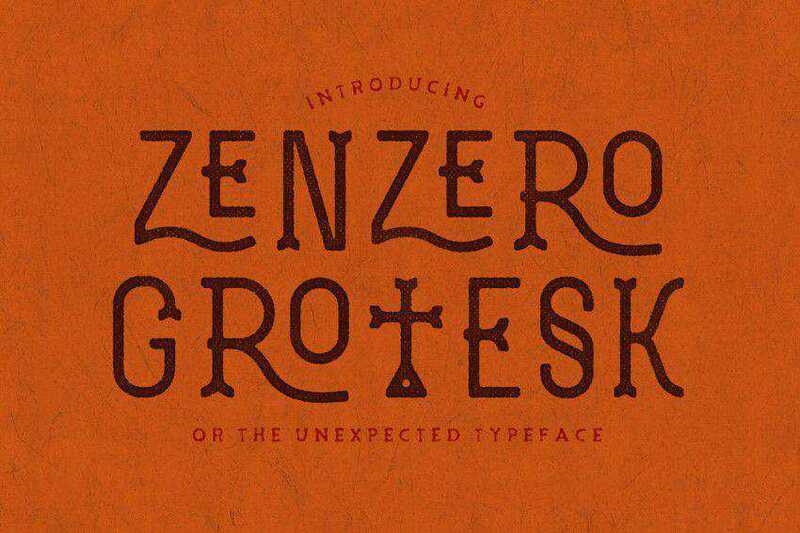 Download here: Zenzero Grotesk Typeface. Includes Regular & Light Uppercase variants. Designed by Pavel Pavlov. Download here: Weston Rounded Slab Serif. Chunk is an ultra-bold slab serif typeface that has been inspired by old American Western-style newspaper headlines. Created by The League of Moveable Type. Download here: Chunk Slab Serif. Choplin Slab Serif includes Extra Light & Medium versions. Designed by René Bieder. Download here: Choplin Slab Serif. Download here: Nexa Rust Slab Serif. Includes Bold, Bold Italic, Book, Light, Light Italic, Medium and Medium Italic. Created by Joe Prince. Download here: Klinic Slab Serif. Aleo is a contemporary free font that has been created as the slab serif companion to the Lato font family. Includes Bold, Bold Italic, Regular, Regular Italic, Light and Light Italic. Created by Alessio Laiso. Download here: Aleo Slab Serif. Includes Regular, Bold and Light variants. Designed by by Dom Catapano. Airbag is a slab serif font with a modern appearance. Only includes Uppercase. Designed by Simon Stratford. Download here: Airbag Slab Serif. 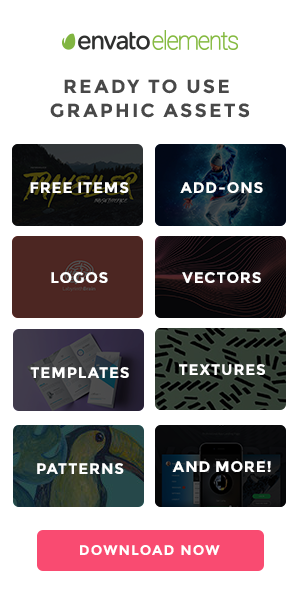 Includes Regular, Rough, Inline and Shadow variants. Designed by Aleksei Kalinin. Download here: Lumberjack Free Font. Ansley is Slab Serif typeface that has been inspired by retro design. Includes Bold, Inline, Light, Black, Outline and Regular variants. Created by Kady Jesko. Korneuburg Slab includes Bold, Light and Regular variants. Created by Flö Rastbichler. Inspired by typewriter-style fonts, Monospaced fonts use a single set width for all letters, numbers and glyphs, making them highly legible, and thus perfect for writing code. As well as the selection of free monospaced fonts below, we have also published a specialized collection of free monospaced programming and coding fonts you may also like to explore. Monoid is a customizable monospaced font that has been optimized for coding. Packaged with Regular, Bold, Oblique and Retina variants. Created by Andreas Larsen. Ahamono is a free Regular monospaced typeface. Designed by Alfredo Marco Pradil. FiraCode is a beautiful monospaced font with programming ligatures. Packaged with Bold, Light, Medium, Regular and Retina variants. Designed by Nikita Prokopov. Office Code Pro is a customized version of Source Code pro, with customizations specifically made for code editors. Designed by Nathan Rutzky. Download here: Office Code Pro. Hack is a font-family that has been designed for writing source code. Packaged with Bold, Italic and Regular variants. Created by Chris Simpkins. This is the monospaced variant of the distinctive Ubuntu font-fmaily. Packaged with Bold, Bold Italic, Regular Italic and Regular variants. Created by Ubuntu. Download here: Ubuntu Mono Font. Based on the original design of Bitstream Vera font family, DejaVu Mono is a collaborative effort to maintain and add new characters to the popular typeface. Packaged with Bold, Bold Oblique, Oblique and Regular variants. Droid Sans Mono is the fixed width version of of Android’s Droid Sans font family. Created by Steve Matteson. Download here: Droid Sans Mono. BP Mono is monospaced font designed for coding. Packaged with Bold, Italic, Stencil, Round and Regular variants. Created by George Triantafyllakos. Anonymous Pro is a family of four fixed-width fonts designed for coding. Packaged with Bold, Bold Italic, Italic and Regular variants. Designed by Mark Simonson. Designed for programming, Fantasque Sans Mono Font includes Regular, Italic, Bold and Bold Italic. Designed by Belluzj. Download here: Fantasque Sans Mono. All 100 of the above fonts have been confirmed as being free at the time of publishing, if that ever changes, please let us know in the comments below. Also, most of the fonts can be used in both your personal and commercial works, others you can only use in personal projects, so please do check the chosen license of each font before you do use them.